The Café de la Gare in Arles, where Vincent van Gogh hung out during the summer of 1888 — paying owner Joseph Ginoux for the room upstairs with his famous The Night Café painting — is long gone. But thanks to Mac Cauley, we may get some sense of how the place may have looked and felt to the artist. Van Gogh spent three nights painting this room depicting what he later called his “ugliest” painting, sleeping during the day. 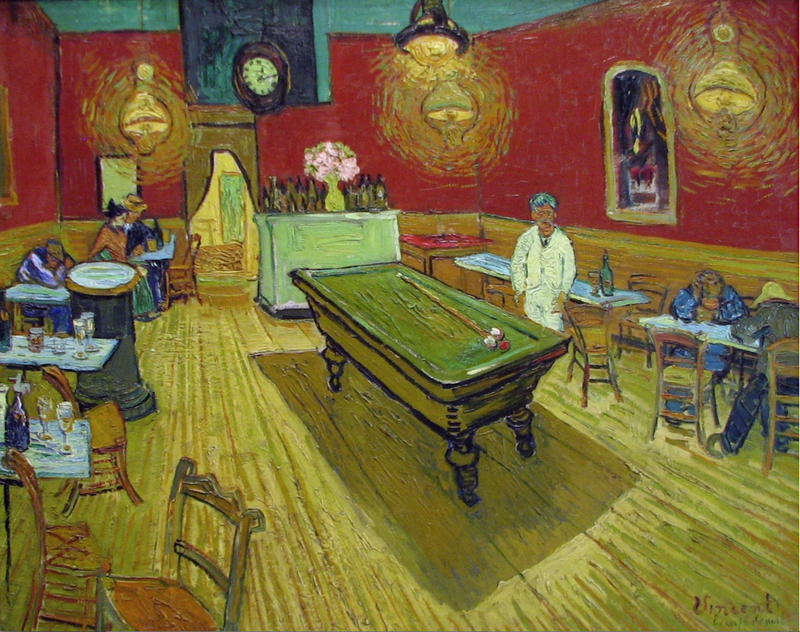 While this virtual reality interpretation was inspired by this specific painting, Cauley’s VR experience broadens the perspective to include objects and scenes from other famous Van Gogh works. “While creating the environments of these paintings in 3D space I’ve had to expand on areas that can’t be seen; rooms behind doors, objects hidden from view, people turned away from the viewer,” Cauley wrote in a blog post for Oculus Mobile VR Jam 2015, where this work was submitted.